Dr. John K Chan, MD is a Doctor primarily located in San Francisco, CA, with another office in Union City, CA. He has 22 years of experience. His specialties include Gynecologic Oncology, Obstetrics and Gynecology, Internal Medicine and Ophthalmology. He speaks English. The overall average patient rating of Dr. John K Chan is Excellent. Dr. John K Chan has been rated by 4 patients. From those 4 patients 0 of those left a comment along with their rating. The overall rating for Dr. John K Chan is 5.0 of 5.0 stars. Gynecologic oncologists specialize in cancers that occur in the female reproductive system. This includes ovarian cancer, cervical cancer and endometrial cancer, as well as the less commonly talked about female reproductive cancers like vulvar cancer, vaginal cancer and fallopian tube cancer. In addition to diagnosing the stage of your cancer and recommending treatment options, they’ll provide care throughout your treatment and help you manage your symptoms. They’ll often work closely with a pathologist and a radiologist to properly diagnose you and determine if your cancer is shrinking or spreading throughout treatment. They’re even trained to administer chemotherapy and to perform surgery to remove cancer when necessary. We are sorry, it looks like we don't have insurance information. Please call Dr. John K Chan's office for more information. 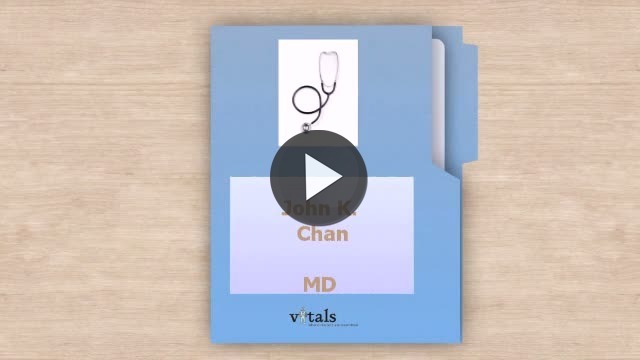 Take a minute to learn about Dr. John K Chan, MD - Ophthalmology in San Francisco, CA, in this video. Dr. John K Chan is similar to the following 4 Doctors near San Francisco, CA. Have you had a recent visit with Dr. John K Chan? Select a star to let us know how it was.